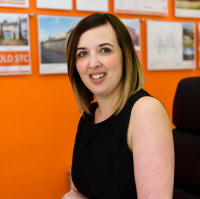 Having worked within the Rutland and Stamford property market for over five years, Zoe brings a wealth of knowledge on the local property market and has a real passion for making a clients moving dreams come true. Zoe strives for the highest levels of customer service and whilst not at work can be found looking after her garden. Zoe is responsible for looking after the whole moving process and is always on hand to answer those tricky questions. Newton Fallowell Stamford is a Franchise owned and operated under license by Treadwell & Treadwell Limited trading as Newton Fallowell, Registered in England Number: 09389219 Registered Office: 4 Ironmonger Street, Stamford, PE9 1PL. Treadwell & Treadwell Limited is a Franchisee of Newton Fallowell Limited and not a subsidiary or sister company. VAT registration number: 181257410.